It was supposed to be gone this fall, but the Canadian penny is getting a reprive due to concerns of retailers who are worried about making the transition right before the busy holiday season. 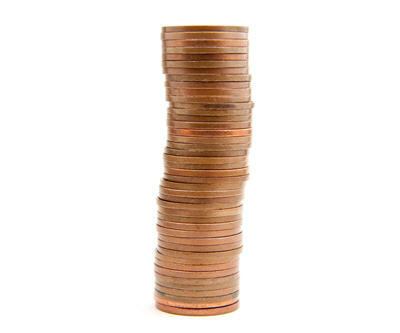 In a news release from the Department of Finance, the date the penny will be removed from circulations is Feb. 4, 2013. "Setting a clear transition date will allow consumers, businesses, charities and financial institutions to plan accordingly in the lead-up to February," said Jim Flaherty, Minister of Finance. "We want to thank all Canadians for sharing their views with us, especially as it relates to this transition." The ministry said that the revised date was set following initial consultations with small business and retailers who requested the transition date occur after the busy holiday shopping season. The extension will ensure all those participating in the transition will have ample time to prepare their business, train staff, and better inform consumers. The government is removing the penny as a cost-saving measure. Estimated savings is is $11 million a year. Retailers will need to round to nearest nickel. Electronic transactions can still be carried out in penny increments.